How to create a silo structure in WordPress. A silo structure on your WordPress blog is an SEO technique that will improve your internal link structure when you create a website or make a blog. This means that search engine crawlers and visitors can find more pages on your site improving your SEO, visitors will spend more time on your site as they have a menu in the sidebar, finding more posts that are related to the category they are on. Designing your link structure this way means you need a lot less backlinks when you make your WordPress site for it to rank high in search engines and will improve your SEO. You may also like to read these articles. Webmasters and people that are learning how to build a website have been trying to organise their sites for visitors and web crawlers for a long time with great difficulty. When a visitor visits your site how sure are you that they can find pages that are relevant to what they have been searching for. What the WordPress Silo Structure does is place all your relevant posts together for that category, like our site how to create a website and our blog. If you use our main menu and click on Webmaster tools you will find another vertical menu with more website tools, so the Silo page is Webmaster tools and all the other pages under the Silo relate to Webmaster tools. This helps visitors and web crawlers to find all our Webmaster tools the way it is set up is a Silo Structure. 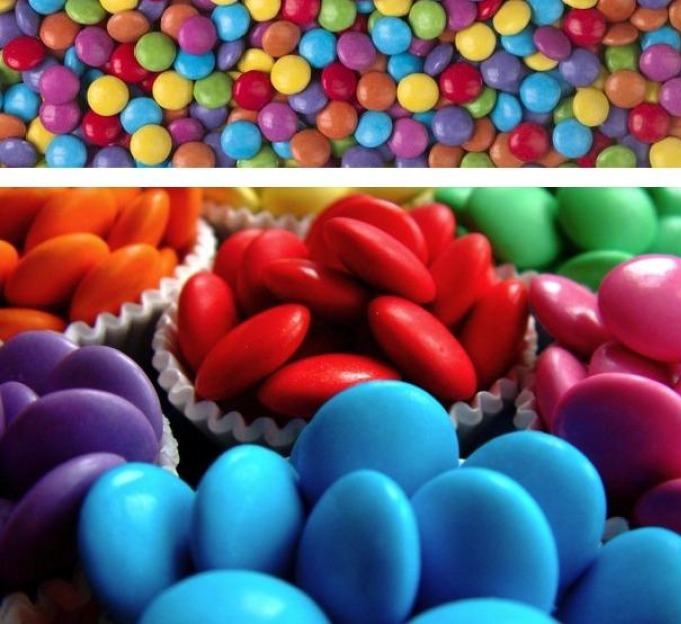 To help you understand about the website Silo Structure the first image the smarties could represent your link structure its all mixed up the different colour smarties would be your posts in different categories if your visitors wanted to look for all your posts in one category they would find it virtual impossible, they would have to find all the red smarties from all the colours they are all mixed up. The second image you can easily find all the red smarties as they all together this would be all your posts for that category, if the red smarties was web design your visitor could find all the posts from the link structure which will be created by the Silo structure that relate to web design, only web design posts would be in that link structure, when they moved to a different category the same applies only posts from that category would be in the link structure this would represent the Silo Structure. This is why it is so powerful as its great for your visitors but turbo boosts your SEO as crawlers can easily find pages and having them link to each other with the same category helps make your keyword structure unbeatable. Pushing your site to the top of search results for those keywords. 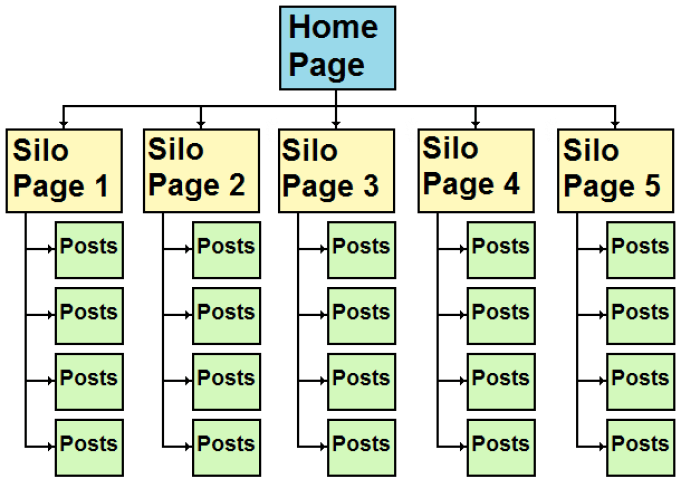 Silo architecture helps your link structure and SEO. There is one thing that you should also know before we start and that is if you want to place a link from one post in a Silo to another post in a different Silo you can do this but please use nofollow in the link, you are trying to keep all the link juice for each Silo and post in that Silo in one place. This is what makes the Silo Structure in WordPress powerful. There are 7 videos to guide you on the best ways to start to build a WordPress SEO Silo Structure. Start at first one and work your way through them. See what Owen of Videospot says about how powerful Silo Structure Architecture is.